If you have solar panels and a 12v or 24v battery stack then this is the solar controller you need and will charge batteries at up to 20A. 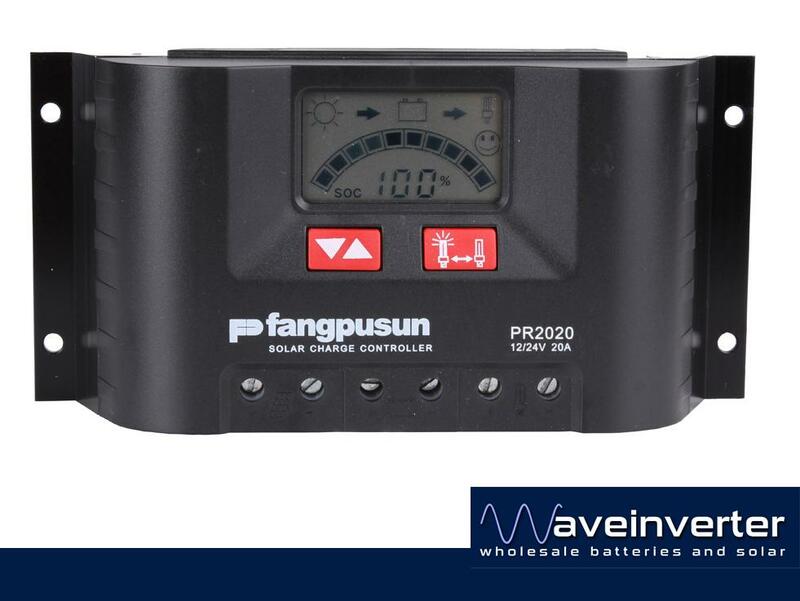 The PR2020 uses Fangpusun AtonIC state of charge determination result in accurate battery state information presented to the user and in a convient percentage and tank display. A large display informs the user about all operating modes with the aid of symbols. . Data such as voltage, current and state of charge can also be displayed digitally as figures on the display. In addition, the controller has an energy meter which can be reset by the user.